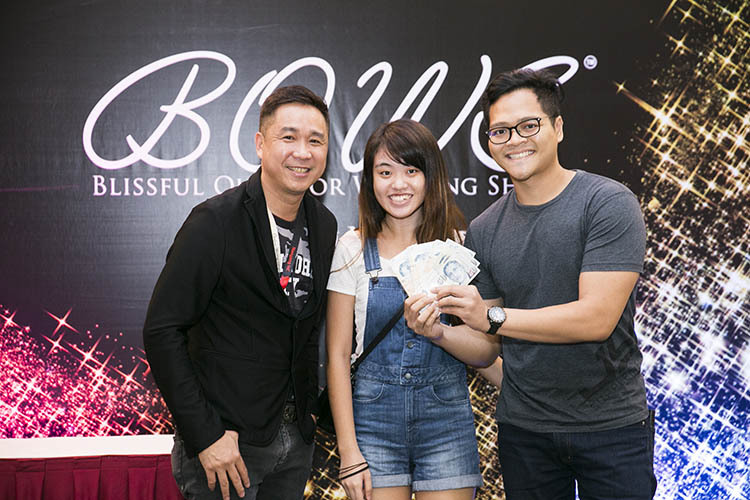 "Rochelle and I won $500 from The Cash Rebate last year when BOWS was at Dhoby Ghaut Green, and that in itself was quite an experience. I guess we knew it was possible, but it’s still a surprise! Furthermore, it’s the exact same amount! 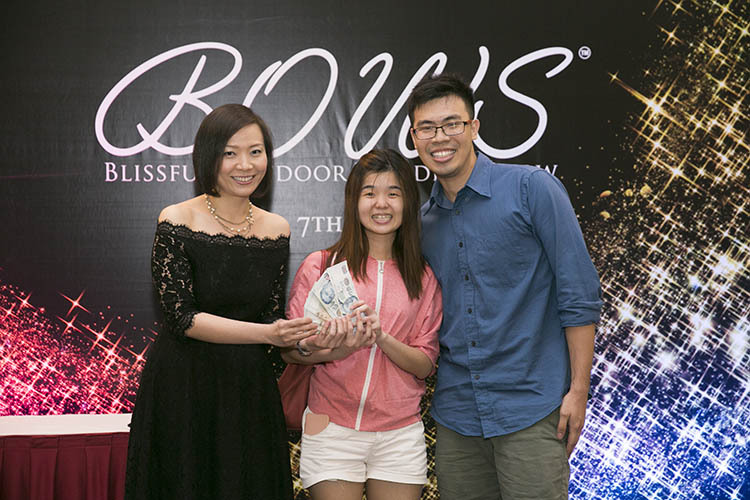 To have won from the cash rebate TWICE is not something many couples who come to BOWS can say they’ve done. But we have, and we’re still quite stunned that we won. 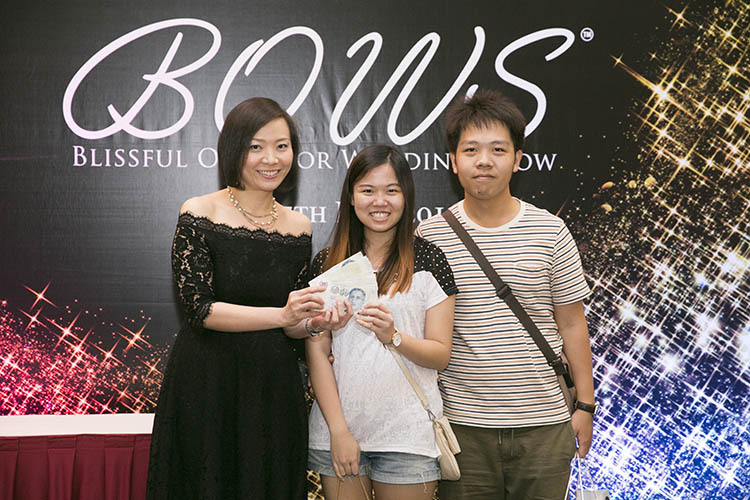 Thank you BOWS, for paying our cash deposit… TWICE!" 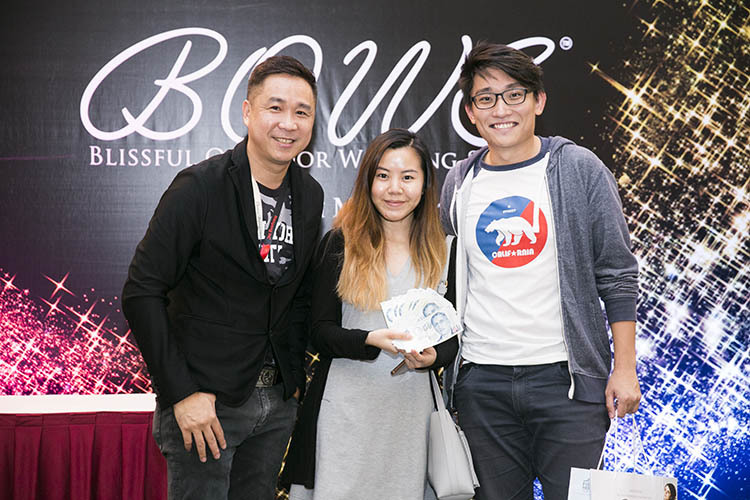 "To be honest, we’ve been to a couple of wedding shows before, but there was just something different about the ambience and vibe of this show that made us decide to sign the deal with Copthorne King’s Hotel right away. At the cash rebate, we were not expecting any return, and were truly astonished when we got picked. It was a surreal experience hearing our names get called. We won back the exact amount we paid. 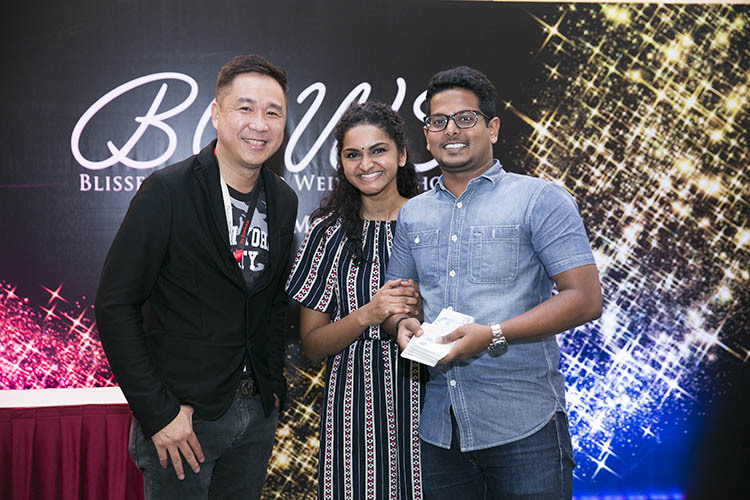 A big THANK YOU to Blissful Brides Magazine, Nanyang Inc, and Copthorne King's Hotel Singapore for putting together this experience for us." "We only planned to get a simple gown and photoshoot package, and that we did - from Z Wedding Design. We were impressed with their style and the standard of their photos and videos, and we were extremely happy with our purchase, and were all set to carry on with our wedding planning. We only attended the cash rebate JUST IN CASE we won. We’ve still got the rest of the wedding planning ahead of us, but this has been such a great start. 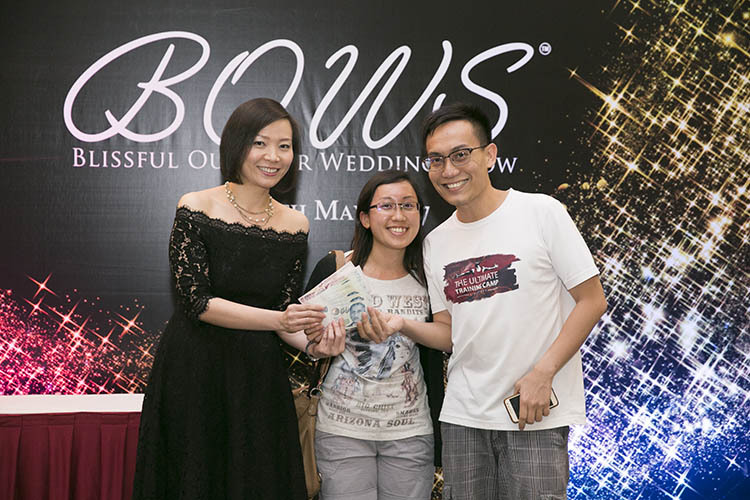 Thanks, BOWS, Nanyang Inc, and Blissful Brides Magazine for your generosity. We really appreciate this money." "What a night! 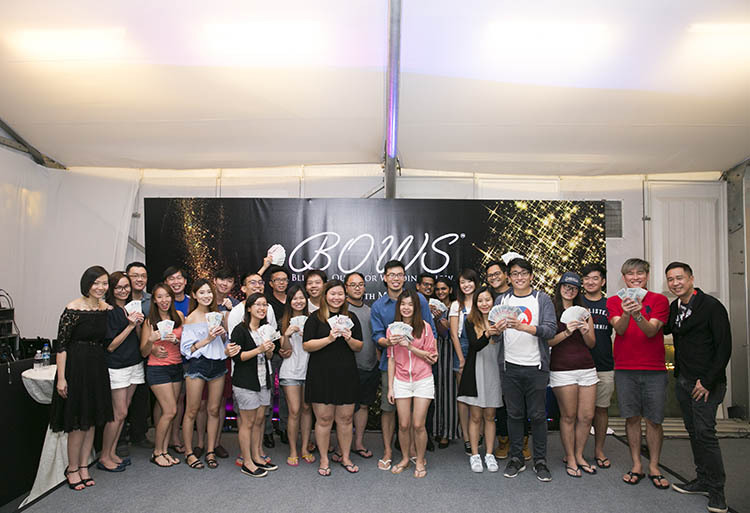 We were shocked when our names were called by the emcee, and to be honest, we regret not paying a bigger deposit! 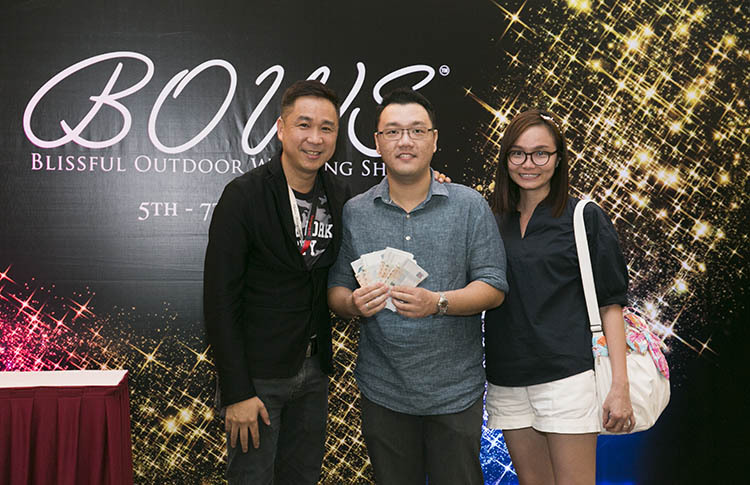 We attended the Grand Draw for the fun of it, but are so happy that at least we got something back! Thank you, BOWS!" "We are speechless right now. 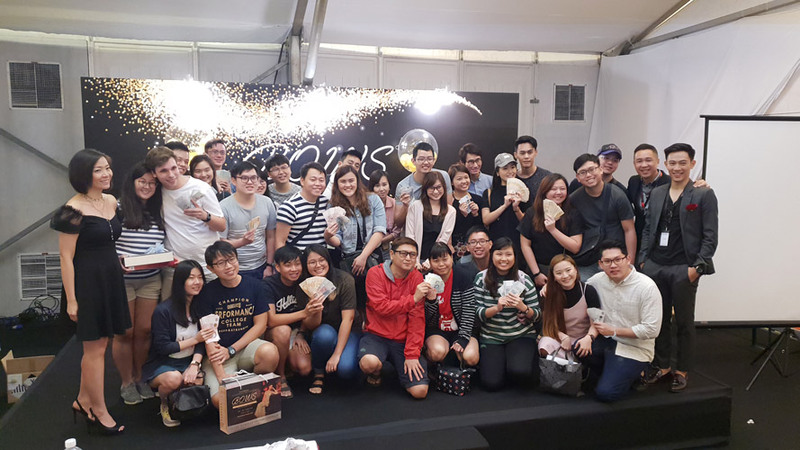 There are so many lucky draws around, but this is the real deal, and we can say that because we won! 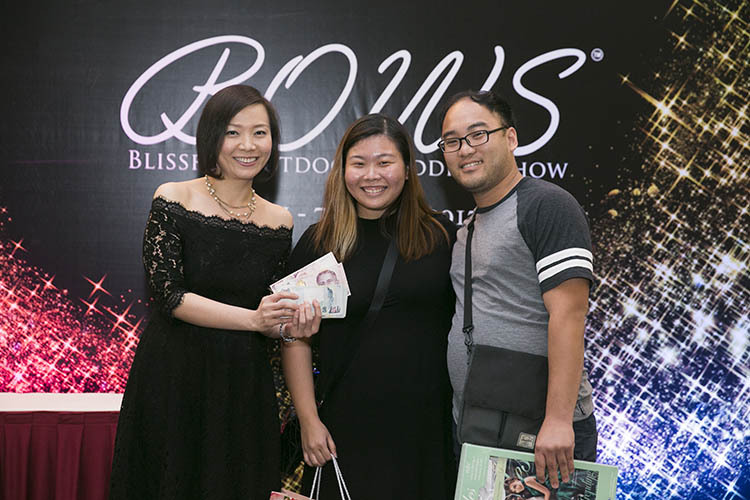 If you are looking to start your wedding planning with a big bang, do it with Blissful Brides Magazine at BOWS!" "We honestly didn’t expect to win anything! We haven’t even fully firmed up the details of the package, but we knew that we wanted to work with Outdoor Wedding Specialist. It definitely makes things easier, with this added cash in the bank. 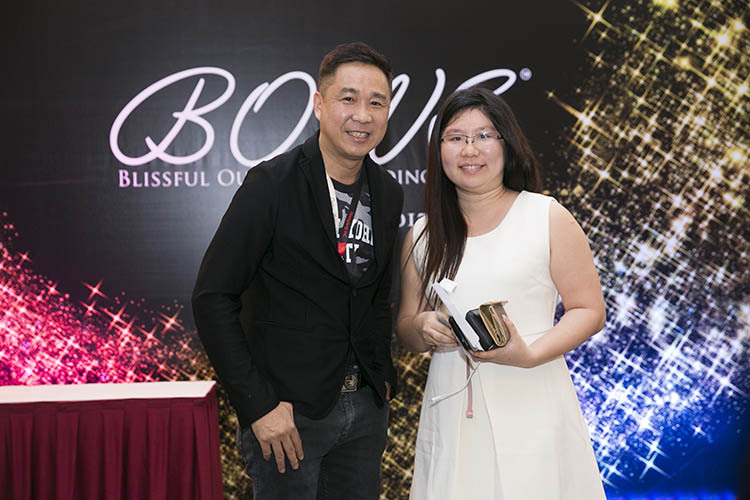 Thank you so much, BOWS, Nanyang Inc & Blissful Brides Magazine! We are so, so grateful." 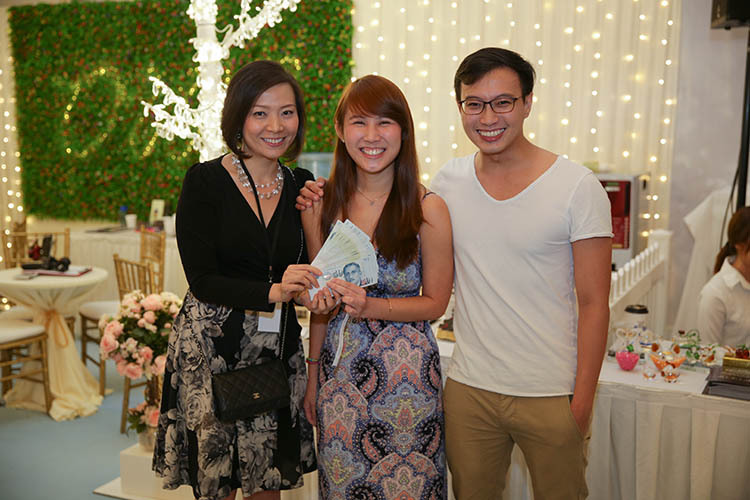 "Winning this cash rebate will definitely help us in achieving our dream wedding. It’s not something we planned for, but it’s definitely a welcome surprise! 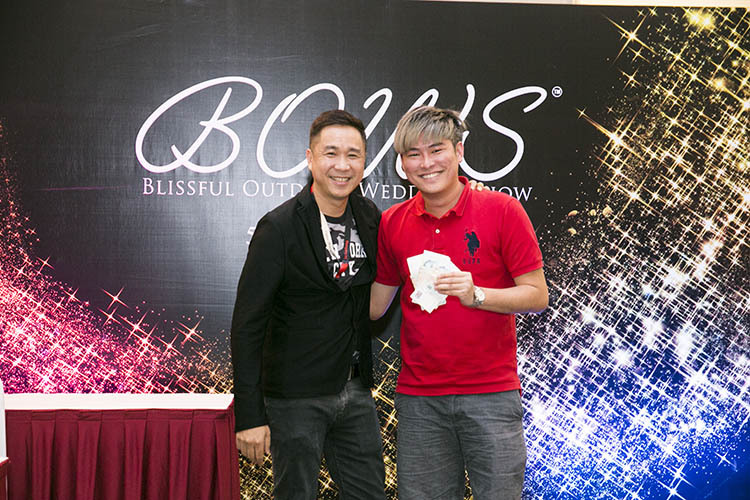 Thank you so much, Blissful Brides, Nanyang Inc for organising BOWS, and making all this possible for us." Now we're giving away $50,000! We enjoyed giving cash away so much, we're doing it once more! Want in on the cash rebates? Simply approach your selected vendor*, whether a Bridal, Venue, or Other vendor, and sign your package! Remember that we have Daily Draws and a Grand Draw on the final night of BOWS! Nothing makes us happier than giving couples a head start to their wedding planning. 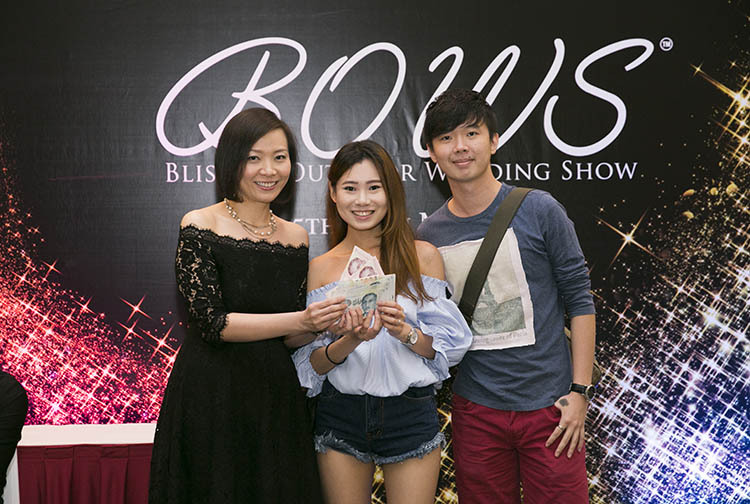 This coming May 2019, spend at BOWS, and be rewarded! 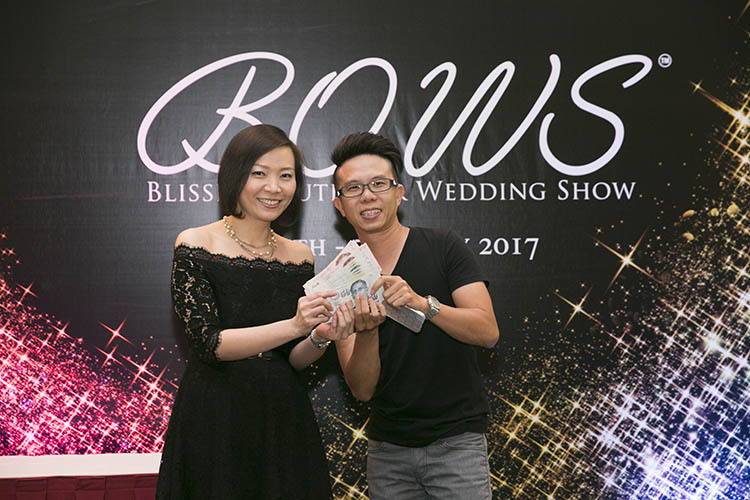 Ever wished for a fully-paid-for wedding? We have a whopping $50,000 of cash rebates to give away! Purchase any Bridal, Venue, or ‘Other’ Package and stand a chance to win back a 100% cash rebate on your deposit! 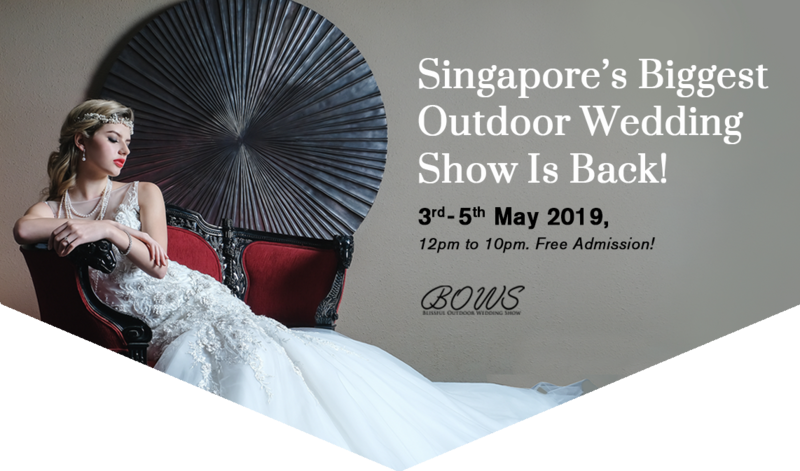 The Blissful Outdoor Wedding Show (BOWS) will make its highly-anticipated seventeenth return at an all-new location in May 2019 at Fort Canning (Oppsite UE Square, Fort Canning MRT Exit A), and will once again allow couples to get rebates on their cash deposits almost instantly. 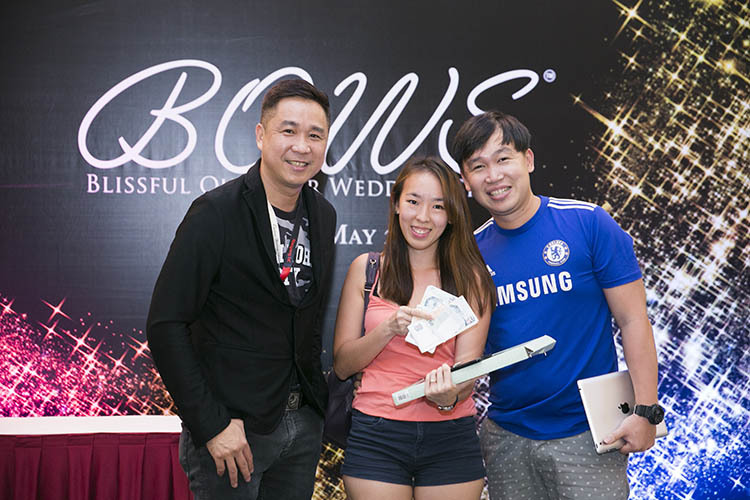 Offering couples the convenience of shopping for their wedding in one location, BOWS wedding merchants are carefully selected for their ability to add value and enhance the wedding planning experience. Set in a beautifully decorated air-conditioned tent, BOWS has made its mark as a lavish outdoor affair with a myriad of choices for couples planning their wedding. 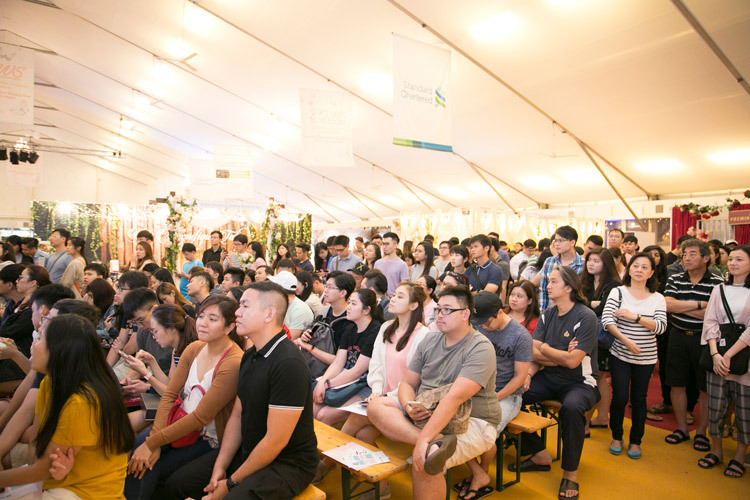 Its unique environment creates a relaxing ambience for couples to browse at a leisurely pace and take in all the sights and sounds that the event has to offer. 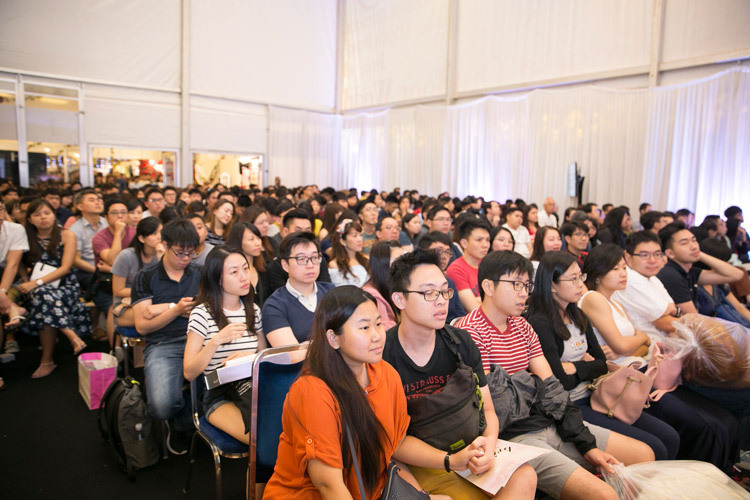 With activities such as voting for their favourite gown, attractive prizes to be won for couples who make purchases​,​ irresistible door gifts,​ and even seminars on property, financial planning, and pre-marital preparation,​ it promises to be an enjoyable​, enriching, and​ memorable experience for all visitors. BOWS is one occasion that to-be-weds have come to anticipate, year after year. Citrus Media heartily congratulates all winners over the three days, and is honoured to have given the couples a head start to their matrimonial journeys.